Hello lovelies! 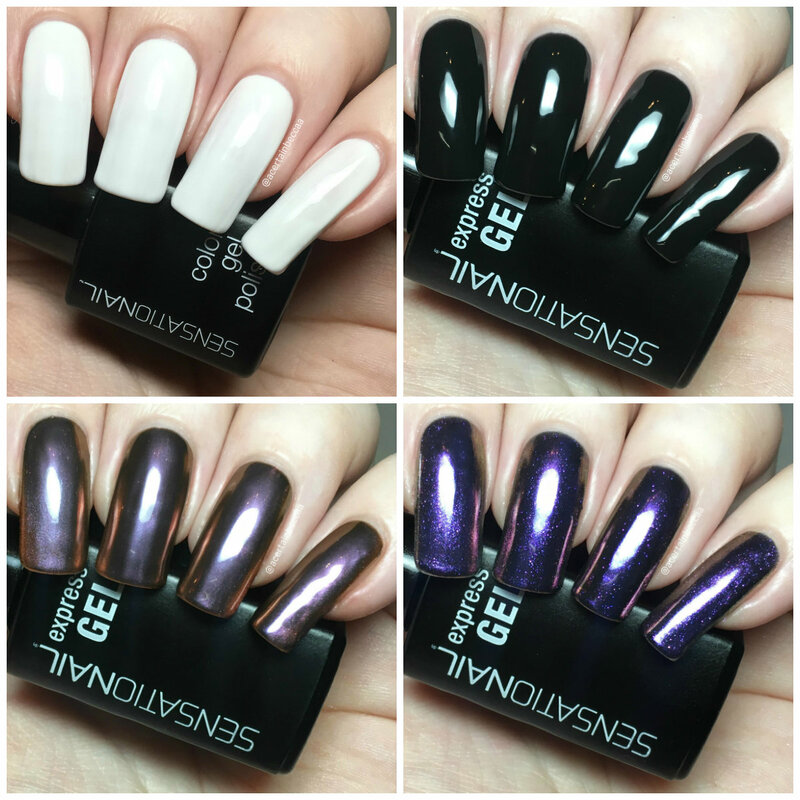 Today I have some products from SensatioNail to share with you. 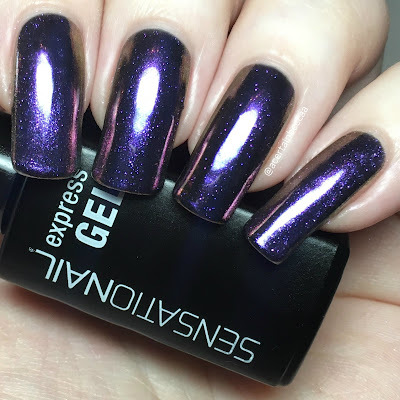 The gel polish brand have recently released chrome nail powders in six different colours. As I am fairly new to gels, they were kind enough to not only send me two of these powders, but also everything I need to use them - including their LED gel lamp, essentials kit, and both black and white gel polishes. 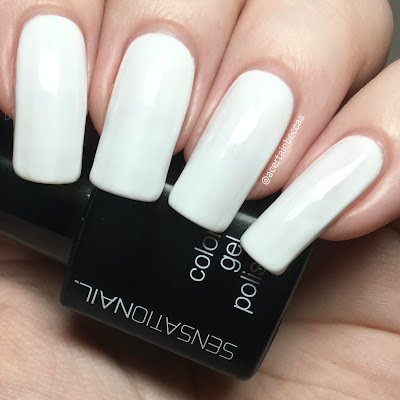 Read on for more info and to find out about my first experience with SensatioNail! First up, here's a quick look at the LED lamp, which cures colour in just 30 seconds. It has an automatic sensor so turns itself on when you place your hand underneath. It flashes at 15 seconds (for curing base/top coat) and turns off after 30. It comes with both a wall plug and a USB lead, which I find really handy as my lamp has USB sockets. The Essentials Kit contains a gel cleanser, gel primer, gel base and topcoat, a double sided mani buffer, a manicure (orange) stick, and 12 lint-free wipes. Inside the box is also a sheet of instructions, with a quick guide of how to use everything. Now, onto my swatches and the powders! 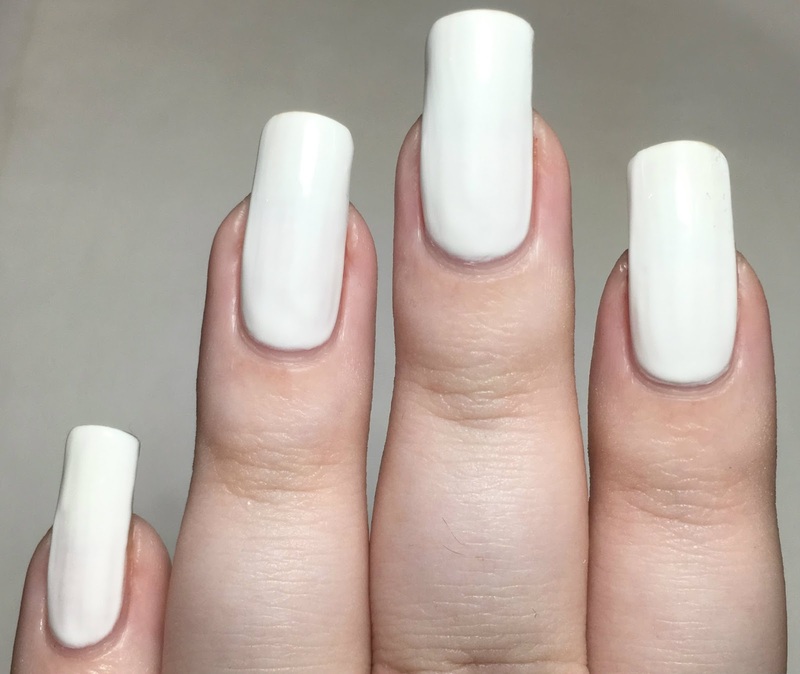 'White Lilly' is a pure white creme. This is from the standard gel polish line, and requires both base and topcoat. I followed the steps, carefully applying and curing between each coat. Below is three coats with topcoat. 'I'm the Black Sheep' is a black creme. This is from the express gel range, so doesn't need base or topcoat. Again I carefully applied this to my nails and cured between each coat. Below is two coats without topcoat. The first chrome powder I have to share is 'Rose', a pink. 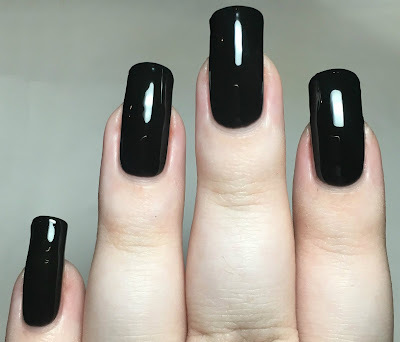 Chrome powders tend to look richer over a black, so I applied this over 'I'm the Black Sheep'. After curing the second coat of my base, I burnished in the powder using the applicator provided before brushing off any excess. 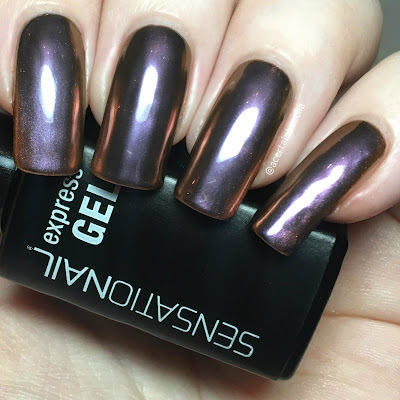 Shown below is with gel topcoat. The next chrome powder is 'Purple', a royal purple. As with 'Rose', I decided to apply this over 'I'm the Black Sheep' to get the best result. 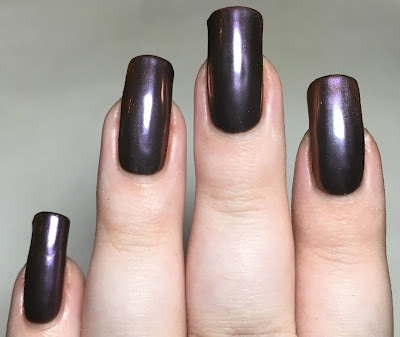 I followed the same steps as described above, but didn't completely burnish all of the excess powder off - which gives it a bit of extra sparkle. Shown below is with gel topcoat. What do you think? Which powder is your favourite of the two? 'Purple' would have to be mine as I love the rich deep colour it gives over black. 'Rose' didn't have quite the end result I had expected, but it still gives that gorgeous mirror finish and has a lovely purple sheen to it. Thank you again to SensatioNail for sending me all of this. I've enjoyed getting stuck in and having a good play! Everything mentioned above is available from the SensatioNail website here. The new chrome powders are £6.99 each here, although are also available in several deals (including a choice of 3 for £15).